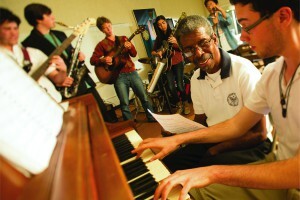 The Idyllwild Arts Academy music program is like no other. Personal instruction by successful professionals with Southern California’s world-class symphonies and recording studios will bring out every bit of your talent, and our breathtaking campus on a forested mountaintop will inspire you. We want you if you want to live and breathe music. If you dream of a music career, our teacher/artists will show you the keys to making your way in professional music’s exciting, competitive world. We want you if you love music as a living, breathing thing that deserves your best. 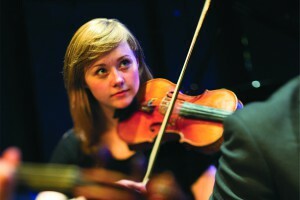 That can mean focusing intensely on perfecting how you play a single instrument. Or it can mean marrying the sounds you already love to musical styles you’ve never heard before, played by young musicians who come here from all over the world to work with our brilliant faculty—and with you! Learn more about us so you can learn more about your own limitless possibilities in music. Please send me more information about scholarships, applications, and auditions for music students at Idyllwild Arts Academy. Your name and email address are held in strictest confidence by MajoringInMusic.com and Idyllwild Arts Academy... they will not be shared with anyone else.